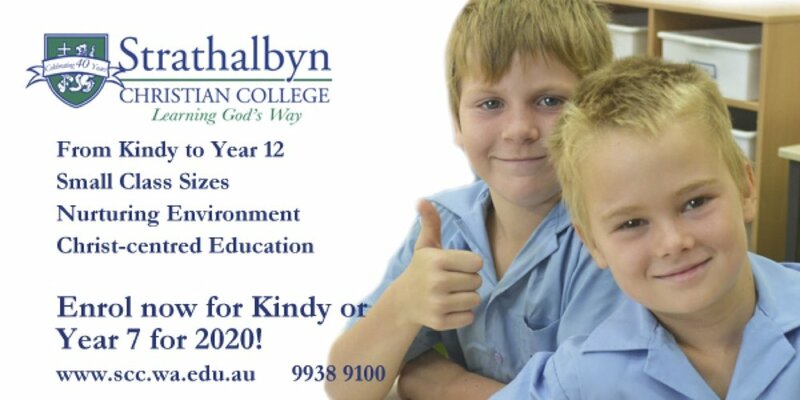 I would to raise a serious concern about a group of kids aged 10-12yo that is hanging around town probably bored during this summer school holidays. My workplace (a coffee shop) had the glass door smashed beginning of last week. Last Monday, while I was trying to lock up by myself, 4/5 of them came in and stole items from the shop as I could not do anything about it as I was obviously outnumbered. And today, as the cherry on top of the cake, I was abused continuosly towards the end of an extremely busy shift, ending up with them stealing the coins from the tips jar and trashing and damaging the front of the shop right in front of the customers. I went to the toilet and started crying because I feel like nobody hears the the struggle my colleagues and I have to go through the day. It is really getting out of control and the police has been contacted by myself and one of my customers but they never showed up. I heard the same group is creating many problems to other businesses and people. What do we need to do to have the authorities to take proper action. This is an pngoig problem now but it keeps beeing ignored. All I want to do is going to work, provide the best product and service to my customers and I have to deal with this almost every day recently. The Perth Wildcats are taking their Regional Trophy Tour to Geraldton next month! Championship players Greg Hire, Jesse Wagstaff, Matt Knight, Shawn Redhage and Corban Wroe plus assistant coach Jamie O’Loughlan will be making the trip to the Mid West. The group will be hitting Indian Ocean Drive with all seven of the club’s championship trophies in tow and visiting 11 primary and high schools over the three-day tour. The Wildcats will also visit Midnight Basketball where they’ll meet with young players from the region. They will also hold FOUR different coaching clinics with the players, allowing kids of all ages the unique chance to improve their skills and have a lot of fun. The clinics will be held at Activewest Stadium after school on Thursday 30 June and Friday 1 July. There will be two more clinics on Saturday 2 July. You can find out more information and register for the clinics NOW by clicking here. All seven Perth Wildcats Championship Trophies will be on display at each clinic! Everyone who signs up for a clinic will become a Perth Wildcats member and receive a free gift pack. The Geraldton tour begins Thursday 30 June and runs till Saturday 2 July. Local musician Ashton Kate has caught the eye of successful recording artist Vance Joy. Miss Kate has been selected as one of five winners for the Fire and the Flood contest. "The covers were amazing. I wanted to choose so many because it was so great seeing you guys singing with heart and soul. Was a pleasure to see and hear. Thank you. It was very difficult to choose only 5. Thank you to everyone who entered. Sorry I couldn’t choose you all. Ashton posted to her Facebook saying My cover of Vance Joy's Fire and the Flood is one of five winners in this competition. I had already recorded and shared the cover long before the competition was ever announced - so when I saw Vance's tweet about the competition, I decided, why not enter? Nothing to lose! Vance is an Aussie, so I was a bit silly and assumed this must be an Australian/worldwide competition... However after entering I finally managed to find the terms and conditions, and I am pretty sure you were supposed to be a U.S or Canadian resident to be eligible. After reading this I assumed I would be automatically disqualified after saying on the entry form that I live in Australia. I had to enter my address and other details in order to enter, so I am not sure if this just got overlooked, or what is going to happen from here. The prize is tickets to a show and a meet and greet with Vance! As incredible as that prize is, and as disappointed as I will be if it does turn out that I am ineligible, I am still so honoured to be a winner, and it has again encouraged me to continue my musical journey despite doubts and nerves. I truly cannot believe that Vance has heard my voice, let alone liked the cover enough to share it as one of the winners... I am speechless and so excited about this. The community’s passion for playgrounds has sparked the creation of a Reference Group to assist the City in the selection of playground equipment to be installed in six parks in the coming months as part of a phased approach to reviewing playground equipment. City of Greater Geraldton CEO, Ken Diehm, said the City had received a lot of questions from the community regarding the removal of playground equipment including letters from school children. “Year Five students at Geraldton Primary School wrote the City to ask when the playground equipment was going to be replaced,” he said. City of Greater Geraldton Mayor, Shane Van Styn, says the Community Playground Reference Group has been given a number of tasks in relation to playgrounds. “The first role the Reference Group is to choose playground equipment they believe would be best suited to each of the parks that falls within the 2015/16 Budget of $429,000.00 allocated for renewal,” he said. Membership in the Community Playground Reference Group comprises of primary school teachers, child educators, neighbourhood development group representatives and parents with their children. On 22 September, Council resolved to implement a phased approach to the renewal of playground equipment in parks. “Six parks identified as high priority in the Public Open Space Strategy will have their playground equipment replaced in the coming months,” said Mayor Van Styn. The kids won’t have a chance to get bored during the school holidays as the City of Greater Geraldton kick starts its seven week long School Holiday program on Sunday 13 December. City of Greater Geraldton Mayor, Shane Van Styn, said this is the third school holiday program the City has pulled together and it offers a huge range of activities for kids to do. “The program is absolutely jam packed with activities such as cartooning and hip hop dance workshops, skateboarding and basketball clinics, Kung-Fu cupcake, a disco day, sea monster mask making, dodgeball and this time around the kids can even try out stand up paddleboarding,” he said. The City has worked closely with several local organisations to develop an exciting calendar of events and activities both here in Geraldton and also in Mullewa. The Foreshore will once again feature a ‘merry go round by the sea’ thanks to an Everlasting Partnership between the City of Greater Geraldton and Variety WA Mid West for the installation of a wheelchair carousel in the Youth Precinct. City of Greater Geraldton Mayor, Shane Van Styn, said the new carousel will provide people of all ages and abilities the opportunity to play on our Foreshore. “The City has been actively designing, building and refurbishing Foreshore spaces and amenities to be accessible and inclusive,” he said. Variety WA Mid West Regional Coordinator, Jan Ajduk, says their organisation was pleased to be a partner in the City’s new Everlasting Sponsorship program and to also be part of the final stage of the Foreshore development. “The installation of the universally accessible and inclusive play equipment in the Youth Precinct will enable children to come together, interact and engage with each other side by side regardless of age or ability,” she said. “The City is very pleased to partner with Variety WA Mid West in our new sponsorship program that enables organisations to sponsor or partner with the City to deliver projects and programs the community highly values,” said Mayor Van Styn. Geraldton Grammar School joined Foodbank in the fight against poverty five years ago. Each year teachers and students rally together and donate hundreds of dollars’ worth of food. This year is no different, with Grammar School’s year sevens’ coordinating and driving change. Hunger and poverty is at large in Western Australia and this Christmas many will suffer in silence without food, love and laughter. While most spend Christmas rejoicing with family and friends, Foodbank WA are looking at one of their toughest years yet. Year 7 coordinator Ms Sharon Cole highlighted the importance of helping those in need, especially at Christmas. “Grammar School look forward to this time of year. Christmas is a time for giving. It’s a time for celebration and sharing. Each year people in our community go hungry and we need to help! “The year sevens’ drive the Christmas Foodbank Appeal and get the whole school involved. Through this, they learn the importance of giving to those in need,” Ms Cole said. A Foodbank representative received the donation on Wednesday and spoke of the difference it will make. Students buzzed with excitement as they helped load food into the Foodbank truck, which will be distributed to those in need. WA Labor Leader Mark McGowan visited Geraldton last week to talk to the community about Labor’s vision to create jobs. Mr McGowan said “We are here to put jobs on the agenda. “We all know that the resources sector is changing, so it’s important to diversify the economy and create new job opportunities for West Australians. “It should have happened a long time ago but unfortunately Colin Barnett failed to plan for life beyond the resources boom. This is why so many West Australians, including people in Geraldton, are now facing the prospect of unemployment and this is why we should be talking about ways to diversify the economy and create new jobs. “We’ve already announced important plans to ensure that people and businesses in regional WA benefit from big State Government projects. Mr McGowan also said WA Labor’s Priority Start policy would create jobs in Geraldton, by ensuring all big State Government construction projects deliver apprenticeships and traineeships for locals. Name, date of birth and place of birth. Three questions asked repeatedly throughout my life. It is so ingrained into me, that I can write it down in less than ten seconds. It has become part of who I am just because I’m reminded so often. Like an immigrant is so often asked where they come from, so am I. It’s just that my place of birth doesn't resonate in people’s memories. The place of birth is Geraldton. And for the first eighteen years of my life, home was Geraldton. I learnt to walk and talk in Geraldton. I made friends in Geraldton. I passed my driving test in Geraldton. Then my future was finally in reach, in my own hands. I could go anywhere, do anything, be anyone, whenever I wanted. The world was my oyster and Geraldton was blocking me in. I applied and got accepted into university in Perth. Started to travel; Australia and overseas. Made new friends, lost old friends. Got a puppy. Rented a house. Two years passed in ‘The big smoke’ but still it did not feel like home. Just recently in one of my uni classes we were discussing rural versus city education. I was the only one in my class that did not graduate in a Perth high school. They talked about the weekend classes teachers organised, and resources and people they had available. School swimming pools, numerous unit options, high quality teachers and the list went on. They had so much more to take for granted than I could even imagine. But then I realised something else. I learnt more in my eighteen years in Geraldton then they could ever learn. I learnt how to get past the furnace sand to the beach without getting blisters. How to go fishing and crabbing. To climb trees, and ride bikes on sand. To find an outfit that works from only a handful of shops. To keep my word, and always be on time. To make friends and keep friends. To be in the moment (And why not? Everything is only five minutes away). To teach myself and do the best with what is at hand. To put family first, friends second and to love myself and everything else will fall in place. To always come prepared, but to live spontaneously. To bring sunscreen and bathers no matter what they say. Geraldton has the lifestyle, the beaches, the ranges. It is undeniably beautiful. But what I miss is what I used to hate. How simple it is. Geraldton was my home. It probably won't be again. But I thank Geraldton, and all its people I met in those eighteen years. Geraldton was not blocking me in. Rather, it was my starting point, and looking back, I could not have hoped for better. Is your child’s birthday coming up? Have you started planning a party for them but are stuck on ideas for fun filled activities? A child’s birthday party is a day they look forward to all year, so naturally, you want to throw them the best party possible. But planning a party for young children can be challenging and often, it becomes more stressful than what it should be. Several businesses in Geraldton are here to help and can make your child’s next party a day to remember. Lets face it, at some point during our childhood, we wanted to have a pony at our birthday party more than anything…even the boys, I’m sure. And your children most likely relish the idea as well. Pony rides have been a huge hit at parties for many years and the only flaw in this otherwise perfect form of party entertainment is that your children wont want them to leave. Hop-Upon-A-Pony is a family owned & operated business based in Deepdale, Geraldton. They offer pony rides for children’s birthday parties for all age groups, which can be held in your very own backyard or at a park. They can even dress their ponies up to a theme of your child’s choice. You can book one pony for 2 hours for $180 or two ponies for 2 hours for $250. Having a bouncy castle in your own backyard will keep the kids happy and you’ll be the talk of the town (or should I say, in the classroom), being known as “the coolest parents ever”. Bouncy castles are a great form of entertainment where the fun doesn’t stop. Amberland Inflatables, based in Boyanup, travel around Western Australia during the school holidays and have a wide range of inflatables from giant water slides to small bouncy castles for the backyard. Prices vary in terms of what sized inflatable you're after and bookings are based on when Amberland are travelling to Geraldton, so it is recommended to book a couple of months in advance. The Aquarena has always been a favourite at children's parties with their many different facilities available to hire. The Aquarena has giant inflatable fun factories for hire, including the BIFF, SMIFF and WIFF. If inflatables aren’t your child’s cup of tea, their Tarzan Rope is also a popular choice in the pool. Don't let the cold weather ruin your child's special day. If it's a bit nippy, their Leisure Pool, which is heated to 29 degrees and contains the 47 metre Flume Slide is guaranteed not to disappoint. To find out more about their prices and availability, visit their website. If you don’t have the time to organise your child’s next party, or just don’t know where to start, phone It’s All Sorted, who can do all the hard work for you. It’s All Sorted specialise in a variety of organisational services, including business administration, fundraisers, organisational assistance, promotion assistance, event set up, children’s parties and much more. See what they can do for your next party by giving them a call today. These are great party ideas and are guaranteed to leave your child grinning from ear to ear. Make your child’s next birthday party a memorable one while you sit back, relax and watch the fun unfold! Hop-Upon-A-Pony are available 7 days a week through bookings and will come to you. Amberland Inflatables are available via bookings during the school holidays and will come to you. The Aquarena are open Monday – Friday from 5:30am – 8:00pm and Saturday – Sunday from 9:00am – 6:00pm. They’re located on Pass Street, Geraldton (across from Auto Pit Stop). It’s All Sorted operate mobile in and around Geraldton 7 days a week and are available via bookings. Geraldton's first mini youth festival will be going ahead rail, hail or shine! Featuring local house DJ's Carfax and Phunky Phresh, MC 'The Apprentice' and hosted by local comedian, Rosie Sitorus. Limited tickets available - get yours online here or come into the QPT box office between 1pm & 5pm to purchase. Tickets are only $10! Y Fest is this Friday 10th of April from 7.00pm until 10.30pm down Post Office Lane in the graffiti carpark (behind Corner Surf) or Queens Park Theatre Foyer in the case of poor weather conditions! Stay tuned via Facebook or phone (08) 9956 6662 for more details. The first of its kind in Geraldton, the Y Fest 2015 mini festival is shaping up to be the Youth event of the year! Local talent on the bill includes house and dub DJ’s ‘Carfax’ and ‘Phunky Phresh', as well as WAMi award winning MC 'The Apprentice' and local comedy talent Rosie Sitorus as the host. Get a taste for some of the music that will be featuring at Y Fest 2015 below. Bringing the festival atmosphere to Post Office lane, behind Corner Surf for one massive night of great tunes and good vibes. Y Fest 2015 – Friday 10th April from 7:00pm - 10:30pm – get involved! For more information, phone Alexis on (08) 9956 6649. *This is a drug and alcohol free event. Good news for Geraldton. Headspace have announced they will be opening a centre here in Geraldton. It's expected to be open toward the end of 2015 or early 2016. Thousands more young Australians will get the help they need for problems affecting their wellbeing, after the Minister for Health, Peter Dutton, announced the next 15 headspace centre locations. In welcoming the announcement, headspace CEO Chris Tanti said the new centres will extend the important early intervention work of the national youth mental health organisation into areas of significant need. "Through our existing headspace centres we've helped thousands of young people with issues ranging from depression, anxiety, relationship break downs, bullying, exam stress and problems with alcohol and drugs," Mr Tanti said. "These additional locations will bring us to a national network of 100 headspace centres. Together with our online service, support to schools and expansion to help young people experiencing early psychosis, we can help thousands more young people and their families no matter what issue they're facing." "Many of these communities announced today have advocated strongly for headspace centres to be established in their areas, so we know these centres will be highly valued. We also know there are many more communities across the country in need of support for their young people," Mr Tanti said. New South Wales: Griffith - Murrumbidgee (Griffith), Orange, Sydney - Castle Hill, Broken Hill - Far West (Broken Hill), Goulburn. Mr Tanti said determining the locations of the new headspace centres is based on a range of factors to ensure headspace services are delivered in the areas of greatest need. "We take into account distance from existing headspace centres, the current and future population size, social and economic factors, accessibility of the location and the readiness to set up a headspace centre," Mr Tanti said. The process to determine locations for centres is done in consultation with the Department of Health, headspace and the State and Territory Governments. The final decision is made by the Commonwealth Government. The additional centres are part of the 2014-15 Federal Budget commitment of an additional $14.9 million to support expansion of the headspace network by 10 centres, bringing the total to 100 across Australia. Young people who do not have convenient access to a headspace centre or would prefer to get help online, can access eheadspace.org.au - a free, confidential and anonymous telephone and web-based mental health support service. The primary focus of headspace is the mental health and wellbeing of young Australians. headspace helps 12 - 25 year olds going through a tough time through a national network of 70 headspace centres (soon to be 100) and online and telephone counselling service eheadspace. headspace can help young people with general health, mental health, education and employment and alcohol and other drug services.